Resistance to home care is a common situation. Family members providing care for their elderly loved ones need help. Most parents want the care and support to come from their children, and no one else, but there are limits to what busy adult children can provide. Despite your limitations, your parents may still be resistant to hiring in help in the form of home care services. The first step is to try to understand where the resistance to home care is coming from. Losing independence is a difficult one; it is true that having hired help in the house is a loss of independence, but not having the hired help over time will almost certainly lead to a catastrophic situation (getting into the bath and not being able to get out until someone enters your home to look for you) that will trigger a probably forced entry into assisted living or long term care facility. So if you are discussing loss of independence with your parents, a phrase like “giving up some independence in order to stay largely independent overall” is sometimes helpful. Pride of running your own home, yard, and meals is common to the elderly generation today. Young baby boomers, and those in their 40s see housekeepers, landscapers, and meal services as a luxury and are typically welcomed with open arms. Our elders were not accustomed to having daily running of their households outsourced. Having new people in your house, trying to get used to the way things work, and how you want things done, is often painful. Feeling that your privacy in intruded is not easy either. When the right match of caregiver to client is made, getting used to a caregiver is a short (and less painful than expected) process.It is usually the case that after even the first shift, a client will look forward to a caregiver coming again. Caregivers are chosen for their helpful and warm personalities, and the caregiver-client bond can get very strong. In terms of the natural stubbornness of your loved one’s personality, we have seen the most stubborn personalities soften. If however, the care is not desperately needed, a very stubborn personality may not be overcome. If the care is very much needed and your loved one is putting themselves in a dangerous situation, the honest and bare truth may be the best approach. If it is true that someone has to accept home care services or else go into a long term care facility, then that should be spoken about (as painful as it may be) in the clearest terms. 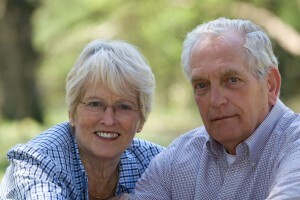 A home care agency can offer help in this situation. If your loved one will accept having an assessment with a home care company, gentle yet straight talk can come from the assessor if you want it to. What is the best approach to resistance to home care? If you have attempted to discuss care with your loved and were met with strong resistance, you may be a bit hesitant to bring up the subject again. However, if care is an obvious necessity for your loved one, then it is a topic that must be broached. Here are some suggestions for your approach. The timing of your discussion can make all the difference. It might help to bring it up when you are both in a relaxing environment and your loved one may be slightly distracted. If both of you are walking through the grocery store you could mention that you “heard there was a really good service that helps seniors do their shopping, I think we should try it sometime”. Not being in a hurry is also good advice. Calling ahead and suggesting that you want to talk about something when you come by may help. “mom I’m coming by on Tuesday and want to talk about options to get your laundry done when I am away next month”. Let the idea sit for a while. Major holidays and family get-togethers may not be the best time to speak about hiring home care for your parents. If your parents’ situation is more dangerous, or their well-being is at serious risk, speaking about home care support right after an incident (a fall, a minor car accident, or other incident) would be wise. When home care is really needed, the truth, backed up by example or proof is the best approach. I am here three times a week, and it takes me 40 minutes to travel here one way. I don’t have time to look after my own home or cook for my family. I really need you to accept help so that I can keep an eye on my children. If you are having difficulty convincing your loved one care is the best option, try involving other family members in the discussion. They may be able to present fresh view points to aid the situation. You can also have a healthcare professional speak with your loved one about care. A professional can effectively emphasize the benefits of care, while outlining the risks involved if care is not employed. Let your loved one know how the care process works. Explain that accepting care is not admitting weakness, but rather taking action to improve their quality of life. Begin with a one or two week trial and see how it works out. At the end of the trial any issues can be addressed, and a practical plan can be made to move forward. If you have any questions or need more information about how you can get started with your own personalized care plan, please contact our office at Retire-At-Home Toronto.